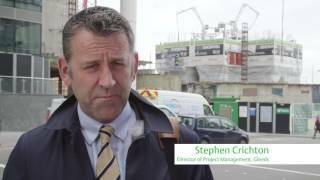 Watch the construction and progress of one of Gleeds’ major projects in the UK. Three Snowhill is the largest single office building under construction in the UK (outside of London) and is the third and final office development on the Snowhill estate. The project is due for completion in 2019.